It was October of 2000, and the internet had suddenly exploded with anti-Israel venom after the outbreak of the Second Intifada. As a way of trying to understand the sea of hatred, I created my first ‘alter-ego’, an online account that was designed to ‘take a closer look’ at those that hated the Jews. This was long before Facebook, in an age of anonymous forums and chat rooms. Two months from now I will be ‘celebrating’ eighteen years of direct engagement with our haters. About three years ago I began to notice a change in the wind. British antisemitic anti-Zionism headed in the direction of the Labour Party. The reason? Jeremy Corbyn. 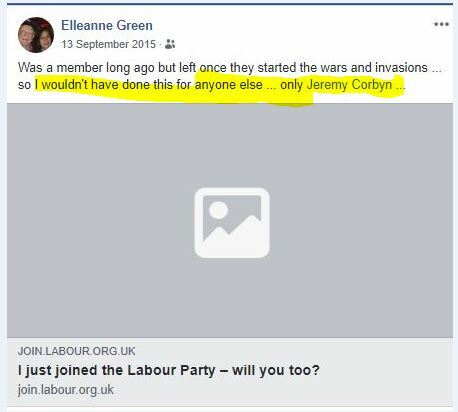 Elleanne Green founded the ultimate antisemitic playground in Palestine Live. Pam Arnold is a well known and outspoken antisemite. 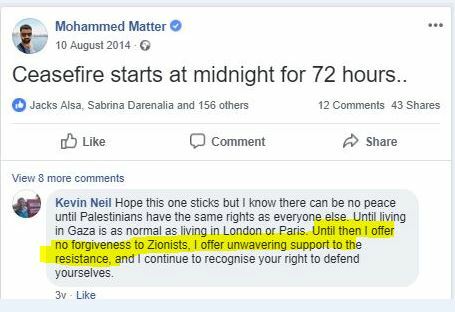 Tapash is Palestine Solidarity royalty and his vile posts have been picked up in my previous research. We cannot know how many of today’s Labour antisemites were in the stampede to join Labour in 2015 and 2016, but it would be logical to argue that quite a few brought their Jew-hatred into the party for Corbyn. Yet it is vital to understand that what we see now is not a Jeremy Corbyn disease. The antisemitic poison that is spreading throughout the Labour Party has been growing in our society for years. We are fighting back a tsunami today because people have ignored all the warnings, and dismissed signs of antisemitism as fringe, trivial and insignificant. Nobody today can keep up with the antisemitism running through the Labour Party. Tireless Labour activists, fighting to save the soul of the party, cannot report an antisemite quickly enough, before their inbox is swamped with screenshots from a dozen others. Our grassroots heroes like Sussex Friends or North-West Friends can spend all day on social media and still miss 50% of what is happening. There is too much going on, the problem is too large, for any one group to have a firm grasp on all the unfolding events. In just the last few days, new headlines about antisemitism have rocked Labour. 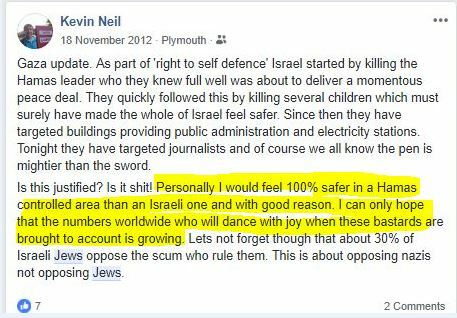 ‘Councillors’, in the plural, have been found to be sharing antisemitic views. Damien Enticott resigned after it emerged he had said ‘Hitler would have had a solution to the Israel problem’. Mary Bain Lockhart was suspended after accusing a Jewish community newspaper of working for the Mossad. As these are dealt with, the already accused are being forgiven. 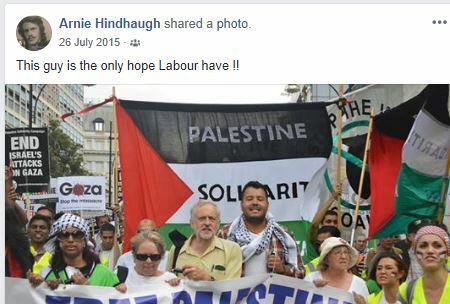 Michelle Harris, who shared David Icke articles about ‘Rothschild Zionists’ has been told by Labour that she “has no case to answer” and has had her suspension lifted. Yet most of the headlines have focused on Jeremy Corbyn, whose history of close alignment with dark antisemitic forces continually throws up new evidence. So quickly are videos of Corbyn’s speeches emerging, that each article on Corbyn has to be read diligently, to be sure exactly which antisemitic incident it is related to. Most of these events are only known about because a handful of Jewish people have been fighting this battle for years. People like Richard Millett, going into rooms full of hate, witnessing, recording, writing. On many occasions they were told to stop recording and on others they were thrown out of the building or denied entry. These Jews became stigmatised as ‘trouble makers’ or ‘oddities’, even within parts of our own community. They were warning us all but nobody wanted to know the truth. Their concerns were raised in blogs that became shared amongst those few who knew the threat was real and the world just carried on spinning towards disaster. All the while the hate was growing. He was also the Secretary of the Local branch of the Palestine Solidarity Campaign (PSC). The PSC are an organisation riddled with antisemitism. 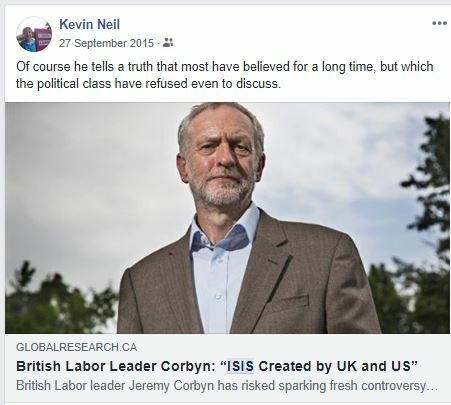 Like Corbyn, Kevin Neil has been affiliated with the PSC for years. Jeremy Corbyn is still a patron. There is a reason I am listing the old Facebook posts. It shows where Neil received his education from. 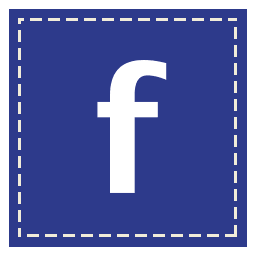 His early timeline is full of shares from conspiracy sites and propaganda websites such as ‘intifada-Palestine.com’ (it no longer exists but used authors such as Alan Hart). 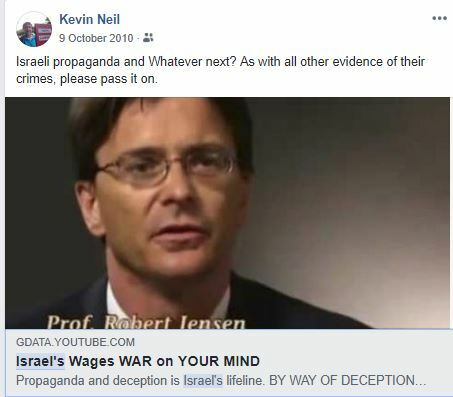 Like most blind anti-Zionist activists his understanding of the conflict has been shaped by conspiracy and he has shared endless fake anti-Israel propaganda created by Russia Today, Iranian Press TV and Electronic Intifada. The ‘IDF are astonishingly disgusting people’. In reality the IDF are a conscript army and most Israeli youth have to serve. Yet his ‘gut feeling wants to ‘rejoice’ when Israeli youth are killed by resistance fighters’ (Hamas, Islamic Jihad, Hezbollah etc). This person is a Councillor? This is how the lies end up in being spread. 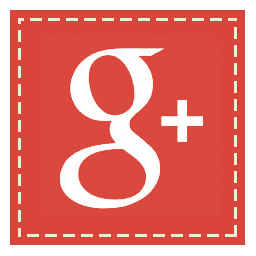 It is clearly false information but it is delivered as personal testimony. The conclusion is clear. The account is a Hamas supporting propaganda account. 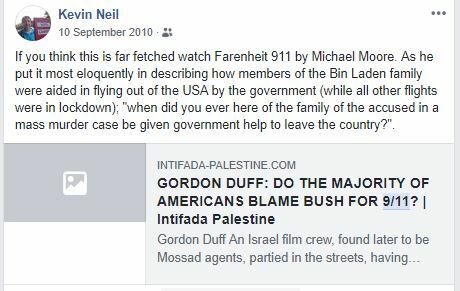 Neil often shared or commented on Mohammed’s posts. 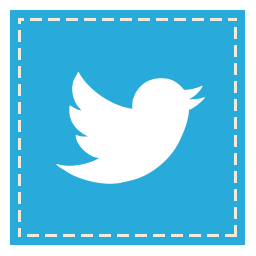 There are thousands of such accounts online. 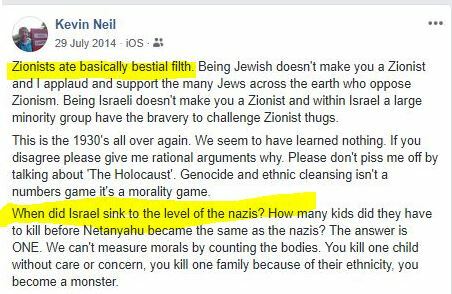 Zionists (that includes me and approximately 90% of Jews worldwide) are ‘basically bestial filth’. He goes on of course to compare us all to Nazis. This is why when we fight back and scream antisemitism, they’re not listening. They really see us as evil. 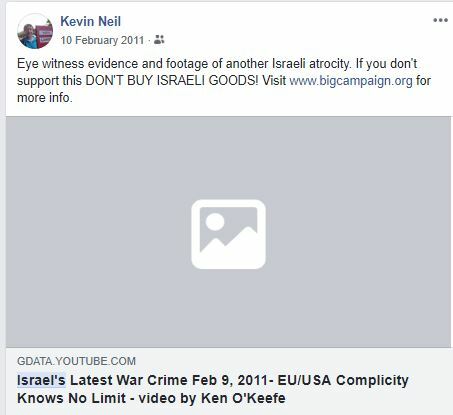 Kevin Neil’s posts are a good example of the anti-Israel mindset. It is this way because for years, they have been drip fed conspiracy, antisemitic ideology and hate. It gets shared as ‘alternative news’ because sites like the BBC cannot be trusted. This is the mindset of the hard-left Corbyn clan. It is far removed from reality. This is a dangerous movement and it has taken a firm grip of the Labour party apparatus. What is occurring is frightening and for those that wonder how nations fall into the abyss, the current climate in the UK is an example in the making. Most Labour party members are decent, normal people. Like most their knowledge of international affairs isn’t great and they are easily swayed. On the one side they like the promises that Jeremy Corbyn makes, on the other they see him under attack. When they are forced to choose, they will align with Corbyn. Not because they are antisemitic today, but because they will be tomorrow. Jews are being turned into the enemy. It is happening NOW. And it is all so easy. Find a few fringe Jews to hide behind, pretend it is anti-Zionism not antisemitism, and this transparent strategy is capable of taking hard-core antisemitism all the way to Downing Street. This isn’t about Jeremy Corbyn. As much as Corbyn presents a threat, there is a danger in making this all about the man. What happens if he goes? Is it over? Of course not. We are paying for decades of over-confidence and inactivity. We cannot afford to get this wrong. When you walk into almost ANY high-street bookshop, you’ll see anti-Israel propaganda on sale. Walk into your nearest library and see what is on the shelf for those seeking information. Go to your nearest university and see what events are on offer. Go to your local church, Quaker group, union, council or school. See what conversation is taking place. This is the result of decades of inactivity, and shrugging. The ‘interested’ British population have been raised on a drip feed of conspiracy, lies and hard-core antisemitism. This occurred as most people, even those who lead our community, thought this was ‘fringe’ and didn’t have to be challenged. When they held events set-up to demonise Jews we wanted to negotiate with them to make it all less harmful. This is the result. People today are desensitised. They are so far down the line, it seems like a suppression of free speech when we just ask people to be balanced or tell the truth. There is propaganda that demonises Zionists taking place all over the country, every day. Whether it is a charity event, a history lesson or a boycott meeting. Anti-Israel propagandists control entire departments on campus. Hundreds of organisations that drip feed antisemitism have been legitimised and are seen regularly on our streets. People have accepted these movements and given them standing even though they are fronted by people drowning in antisemitic conspiracy and Jew hate. When we say we want to push antisemitism back into the shadows, what do we mean? Back into the universities? Into the libraries? For years we have permitted what is referred to as a ‘narrative’ to spread freely. In effect it is just hate built on empty lies and antisemitic conspiracy theories. How was a national crisis with antisemitism NOT GOING to be the result of such a blind strategy. This did not arrive with Jeremy Corbyn, it has just grown to a size where it can try to seize power. Come and join the LaBOOR party. However, I think David lets the media off the hook far too easily. Decades of deliberate distortions and outright lies from newspapers like The Guardian and broadcasters like the BBC about events in the Middle East have created/ fed / sustained left wing antisemitic culture. The media have been spewing a daily diet of anti-Israel/anti-Semitic material for 30 years. So,when you actually think about it, how could things have turned out any other way for the Jews??? I am afraid David has got to be so ” read one read them all ” that there is nothing more to say, so I won’t be saying any more. > that there is nothing more to say, so I won’t be saying any more. Dumb Bellamy can’t help but lie. It’s in his damaged DNA. So many Labour politicians in your country take an inordinate, even obsessive interest in Israel – not the real one of course. When I see the bs indulged in by the likes of Mr. Neil and others I can’t help but think to myself that it used to be Germans. The one thing Neil seemed to get close to being right was the comparison to the 1930’s. The big lie is alive and well. The joke, if there is one, is that Mr. Neil and those like him haven’t a clue as to their actual role in it. Creepy and dangerous not just to Jews, but the the future of the UK’s health. There is such an obsession with Israel in your country amongst the politically minded. Don’t people find that curious? And it’s not even the real Israel, but one they imagine, just as all sorts of ugly things have been imagined about Jews for centuries. I find it totalitarian, because of, you know, the history. It won’t be too long before liberal American Jews begin waking up to this nonsense which is now being imported into the US, just as Jews in your country are already finding out. It can be a rather rude awakening to find out that all that liberalism just ain’t that liberal anymore, and that all those public intellectuals you once admired have fallen for the socialism of fools. I’ve been spared that sudden realization through happenstance. There is only one country in the world targeted for annihilation, and it happens to be Jewish. Considering the history of antisemitism, and the slanders against Jews on which it thrives, don’t people find that curious? 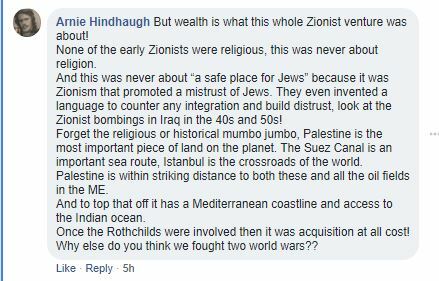 I always find it remarkable that all those Jew haters that blame the Rothschilds for controling the world’ as their reason for hating Jews, forget the Jew hatred of the Crusades and the fact that the ‘blood libel’ of Jews drinking Christian blood originated in Central England around the 11th century. First it was hate against the Jewish religion as Jew hate was used to define early Christianity and other movements. Third it morphed into hatred of Jews as a country, Israel, as overt hatred of Jews was no longer acceptable. Today one can take classical Antisemetic tropes and exchange the word Jew for Zionist/Israel and there is virtually no difference, but for that word change. We are fighting the same battles as the 1920/1930s’; the difference is the change of a few words.